MOSCOW (Sputnik) - The Russian Foreign Ministry on Friday announced retaliatory measures to the ambassadors of foreign states, which had expelled Russian diplomats earlier this week. The United States, some EU countries, as well as Canada, Norway, Ukraine and several other states decided to expel Russian diplomats in connection with the incident in Salisbury, where Sergei Skripal, a former Russian spy who worked for UK intelligence, and his daughter Yulia were poisoned on March 4. London has stated that it was "highly likely" that Moscow was behind the attack. Russia has strongly rejected the accusations. The heads and representatives of the diplomatic missions of Germany, France, Poland, the Netherlands, Italy, Canada and more than 10 other states were given notes of protest. UK Ambassador to Russia Laurie Bristow was summoned to the Smolenskaya Square again. He was informed that the UK side should in response reduce its personnel in the UK Embassy in Moscow and the UK Consulates General in Russia within a month, bringing the total number of employees to the same number as the number of Russian diplomats, administrative and technical workers who are staying in the United Kingdom. The ministry has also expressed the strong protest to the ambassador over "the provocative and groundless actions" taken by the UK side, which inspired the expulsion of Russian diplomats from a number of countries. US Ambassador to Russia Jon Huntsman was told about the Russian response on Thursday. Russian Foreign Minister Sergey Lavrov said Thursday that Moscow would provide a mirror response to all those countries that expelled Russian diplomats, sending back from Russia the same number of their diplomats. Thus, apart from response to US and UK decisions, diplomats and employees of the diplomatic missions of Australia (2), Albania (2), Canada (4), Croatia (1), Czech Republic (3), Denmark (2), Estonia (1), Finland (1), France (4), Germany (4), Ireland (1), Italy (2), Latvia (1), Lithuania (3), Macedonia (1), Moldova (3), the Netherlands (2), Norway (1), Poland (4), Romania (1), Spain (2), Sweden (1) and Ukraine (13) will be expelled. "Taking into account the fact that at the last moment Belgium, Hungary, Georgia and Montenegro decided to join the listed countries, Russia reserves the right to respond to these countries," the Russian Ministry noted. US Ambassador to Russia John Huntsman was summoned to the Foreign Ministry the day before and was told that, in response, the Russian side would send 58 embassy employees in Moscow and two consulate employees in Yekaterinburg. 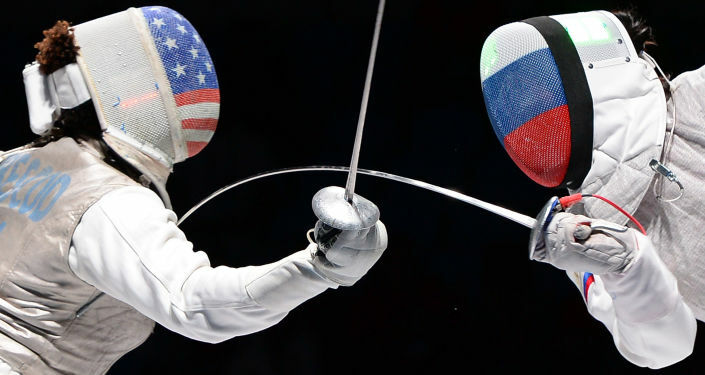 In addition, the US Consulate General in St. Petersburg will be closed. Commenting on this move by Moscow, State Department spokesman Heather Nauert said that Moscow was not interested in a dialogue with Washington, and the expulsion of US diplomats and the closure of the consulate general in St. Petersburg had been an "unjustified step." "We do not agree with this assessment, you know that Russia was forced to take retaliatory steps in response to those unfriendly, nonconstructive, illegal actions, in this case related to the deportation of our diplomats and the closing of the consular institution by Washington," Kremlin spokesman Dmitry Peskov said, commenting on Nauert's statement. On Friday afternoon, almost at the same time as Peskov gave a comment to reporters, representative embassy cars began to approach the high-rise on the Smolenskaya Square. The first, to the surprise of the journalists, was the UK ambassador. London was notified of the expulsion of diplomats last week, moreover, the embassy officials mentioned in the list have already managed to leave the territory of Russia. The answer appeared on the Foreign Ministry's website about an hour after Bristow left the Smolenskaya Square. "UK Ambassador to Russia Laurie Bristow was summoned to the Foreign Ministry, where he was handed a note of protest against the provocative and unfounded actions by the British side, which had orchestrated a groundless expulsion of Russian diplomats from a number of countries," the Russian Foreign Ministry said. Moscow asked to bring the staff of UK diplomatic institutions in Russia in line with the number of Russian offices in the United Kingdom within a month. The Russian Foreign Ministry noted at the same time that Russia "as has been repeatedly stated, is ready for a substantive and responsible interaction both within international legal formats and bilaterally in order to establish the truth as well as look for and find the individuals involved in the Salisbury incident." Bristow, commenting on the call to the Russian Foreign Ministry, did not disclose the details of the meeting. As of now, it is not clear how many employees of the UK diplomatic mission will leave Russia. A spokesperson of the Russian Embassy in London, answering a question from Sputnik about how many Russian embassy employees would have to leave the United Kingdom, replied that the figures are known to the UK side, and questions should be addressed to it. According to the UK Foreign Office, there were 58 diplomats in Russian diplomatic missions in the country before the expulsion of 23 Russian diplomats. Sputnik does not have information on the number of people working in Russian diplomatic missions in the United Kingdom, including technical staff. The UK Foreign Office, according to common practice, does not disclose the number of its employees in foreign diplomatic missions. 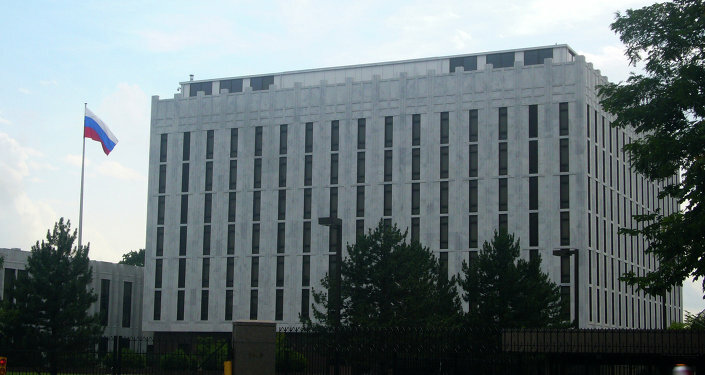 The ambassadors of other countries, including France, Australia, Sweden, Poland, and Croatia, who came to the Russian Foreign Ministry after Bristow, also refused to communicate with journalists gathered near the high-rise in Smolenskaya Square. Only the head of the German diplomatic mission, Ruediger Von Fritsch, leaving the Russian Foreign Ministry, noted that Berlin remained open to dialogue with Moscow, but the Russian side must answer the open questions on the Skripal case. "I had the opportunity to emphasize two things in today's conversation. First, good relations remain in Germany's interests, in the interests of the peoples of Germany and Russia, and we are ready for this and open to dialogue. Secondly, in light of the sad events in Salisbury, the Russian government should do everything possible to bring transparency and clarity and to answer fair, open questions," the German ambassador said. It is noteworthy that on Friday, Serbian Ambassador to Russia Slavenko Terzic was invited to the Russian Foreign Ministry, however, unlike his colleagues, he held a working meeting there, during which he confirmed Belgrade's friendly attitude toward Moscow. Apart from Serbia, Austria, Slovenia, Greece, Cyprus, Bulgaria and Portugal earlier refused to expel Russian diplomats. Commenting on Moscow's actions, the Lithuanian Foreign Ministry said that the expelled embassy staff, who must leave the Russian Federation within a week, had nothing to do with intelligence. The Swedish Foreign Ministry said that they regret the expulsion of their diplomat but "it was something they did not expect." London and Berlin reacted in a similar way. The Czech Foreign Ministry noted that they had expected such a response from the Russian side and take it into account.